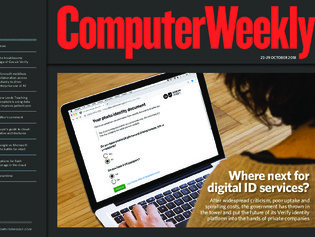 In this week’s Computer Weekly, as the UK government hands its digital identity service, Gov.uk Verify, to the private sector, we examine the history and prospects for the troubled system. Our latest buyer’s guide looks at cloud-native architecture. And we compare the flash storage capabilities of the leading cloud providers, AWS, Azure and Google. Microsoft’s multi-year effort to drive adoption of artificial intelligence technologies has entered a new phase, with it banking on openness and cross-industry collaboration to boost enterprise take-up. Leeds Teaching Hospitals’ chief digital and information officer, Richard Corbridge, is putting to-gether a plan to make smarter use of information for the benefit of NHS staff and patients alike. Carrefour represents a big-name contract win for Google’s G Suite, but will Microsoft Office still dominate retail?